As the population ages, it is increasingly likely one will find himself or herself in the role of caregiver of someone elderly, chronically ill, or with a disability. Although it is a role many are unprepared for, it is one that is assumed out of love, necessity, or a combination of both. Now that you are a caregiver, what do you do? Author Cynthia Hill knows the fear and uncertainty you feel from firsthand experience. 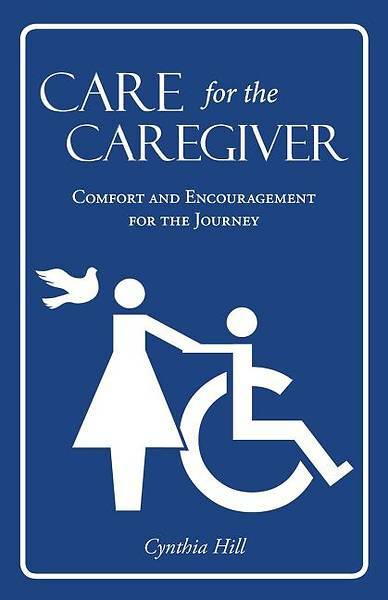 In Care for the Caregiver: Comfort and Encouragement for the Journey, Hill discusses topics important to caregivers. You will learn about the importance of respite care, stressors faced by caregivers, getting through the daily routine of caregiving, and how others can help caregivers. She shares how to handle the inevitable difficult decisions caregivers must make. Hill also explains how and why you need to depend on God, the ultimate caregiver. There is a list of suggested hymns that can give you the spiritual uplift needed on those days when you feel you've reached the end of your rope. A list of resources is provided for those who need additional assistance in a specific area. It takes preparation and perseverance to accomplish what has been set before you. But with the information found in Care for the Caregiver: Comfort and Encouragement for the Journey, you can find peace, confidence, and assurance that you can handle the challenges of caregiving with the application of practical information-and God's help.